New Year’s Eve: the mere thought of it can send us into an uncontrollable tizzy. Love it or loathe it, there’s just no avoiding it, and here we are again pondering whether to brave the crowds or stay in by the fire. 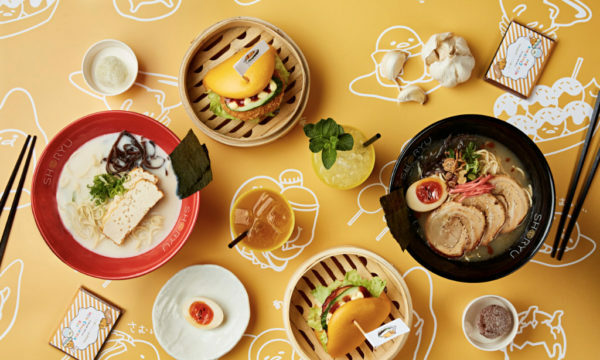 If you do decide to leave the comfort of your sofa but don’t fancy spending hours battling the elements, why not spend the evening at one of London’s finest restaurants and enjoy a show-stopping menu especially created to tantalise your taste buds? Here are some of our favourites to ring in the New Year in style! Located on the 40th floor of the Heron Tower, Duck and Waffle is the UK’s highest restaurant. Not only can unrivalled views be guaranteed, but its five-course special tasting menu will make this the ultimate celebration. Between 6pm and 9pm, you can feast on BBQ-spiced crispy pig ears, sea trout gribiche, Longhorn rib-eye steak and vanilla baked Alaska. A VIP celebration ticket costs £350 per person and includes a champagne reception, signature bites, a reserved table and entertainment for the night. 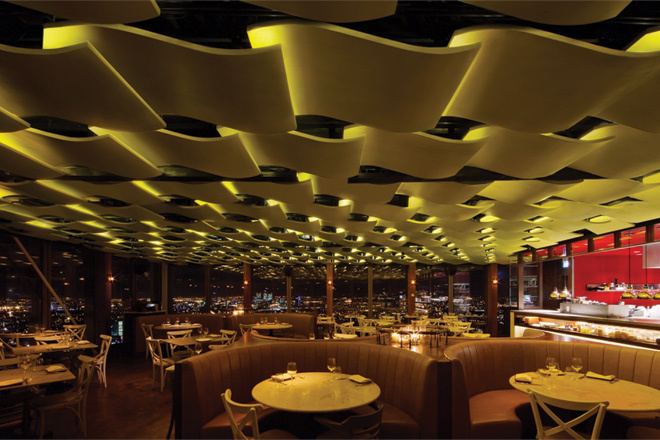 To book a table at Duck and Waffle, Heron Tower, 110 Bishopsgate, London EC2N 4AY, call 020 3640 7310 or visit here. If high-class fine dining and sophisticated surroundings in which to watch the fireworks are what you are looking for, Oblix Restaurant will cater for your needs. 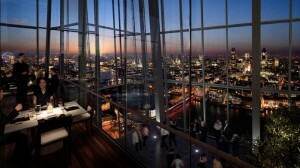 Situated on the 32nd floor of the iconic Shard building, Oblix is offering two menus on New Year’s Eve at £450 per person. Vegetarians can enjoy Fregola Sarda and Celeriac Velouté, while non-vegetarian options include grilled Wagyu beef or roasted halibut. The price includes champagne and wine. To book a table at Oblix Restaurant, Level 32, The Shard, 31 St. Thomas Street, London SE1 9RY, call 020 7268 6700 or visit here. 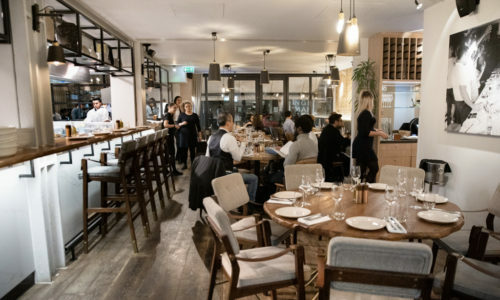 Tucked away from the busy streets in Piccadilly, Yaneff at DSTRKT is one of London’s finest organic restaurants, specialising in a unique fusion of locally sourced and continental dishes. Oozing elegance and style, it is the perfect choice for either an intimate lovers’ night or a glamorous celebration with friends. Indulge in handpicked crab cakes, beef tenderloin and a chocolate and champagne sabayon to make this a truly unique dining experience. Priced at £125 per person for five courses, you won’t have to go too far to keep the party going as the nightclub is on the other side of the restaurant wall! 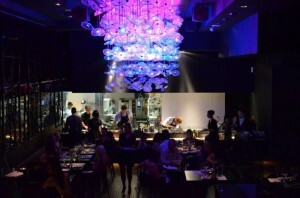 To book a table at Yaneff at DSTRKT, 9 Rupert Street, London, W1D 6DG, call 020 7317 9120 or visit here. 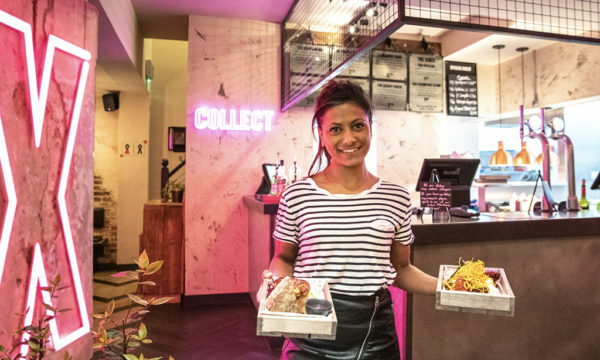 Chino Latino is a modern Pan Asian Latino bar and restaurant at the Park Plaza Riverbank and is offering two very reasonably priced menus on the night. 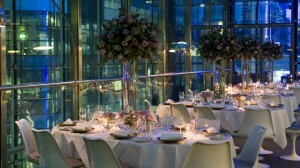 The first is a champagne buffet in the Thames suite with stunning views of the River Thames, Parliament and Big Ben. Priced at £129 per person, including champagne, wine and music, you can enjoy sashimi platters, wasabi prawns, Chilean seabass and passionfruit cheesecake. The tasting menu in the main restaurant is priced at £79 per person and includes Tenkasu rolls, Chicken Su Mai and a dessert platter. A vegetarian set menu will also be available. 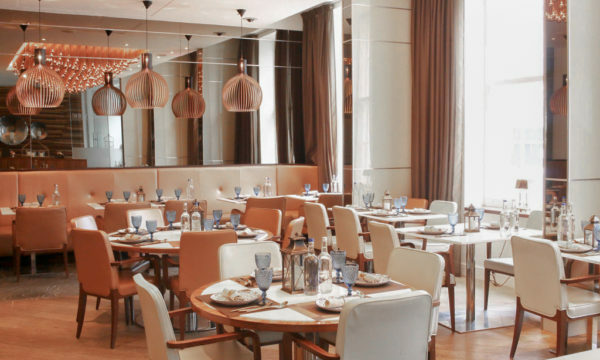 To book a table at Chino Latino, Park Plaza Riverbank, 18 Albert Embankment, London SE1 7TJ, call 020 7769 2500 or visit here. A hidden gem among the plethora of skyscrapers, Plateau is a stylish French restaurant with stunning views overlooking Canary Wharf. There are two sittings available on New Year’s Eve offering extremely good value, given the night and location. The first is between 5pm and 6.30pm and is £55 for four courses, and the second is between 7pm and 10.30pm and is £85 for five courses. 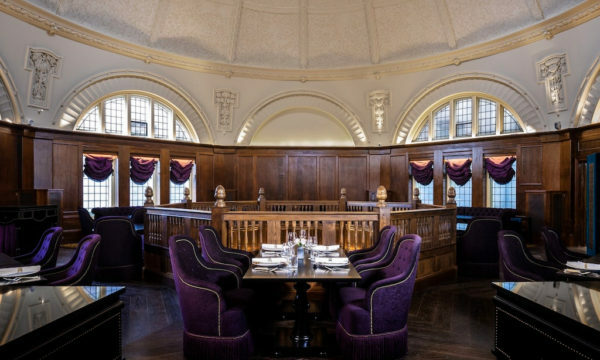 The menu includes Ceviche of Orkney Isle Sea Scallops, Roast Fillet of Hereford Beef and Coconut Crème Brulée, and both sittings include a complimentary glass of champagne. 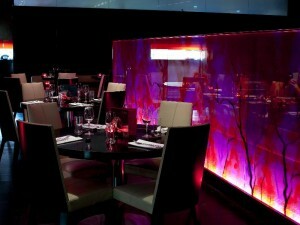 To book a table at Plateau, 4th Floor Canada Place, Canada Square, London E14 5ER, call 020 7715 7100 or visit here. 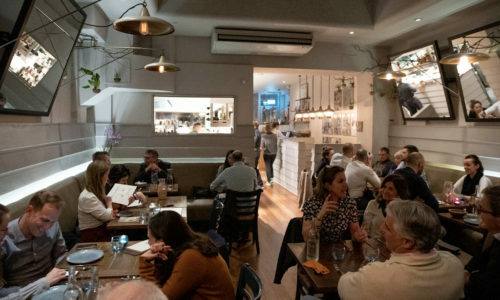 If you are looking for a quirkier type of dining experience, Bunga Bunga in Battersea should fit the bill. Named after former Italian prime minster Silvio Berlusconi’s infamous parties, Bunga Bunga is a delightfully ironic pizzeria and karaoke bar filled with Italian paraphernalia and junk. 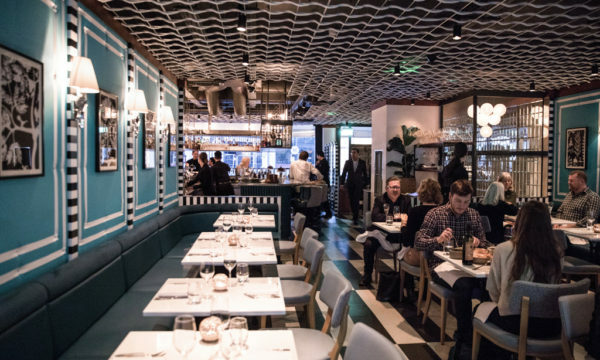 On New Year’s Eve, the restaurant is offering a seven-course Italian banquet, and dishes include Veal Milanese, Lobster and Crab Ravioli, Mozzarella Bocconcini and Fillet of Beef Carpaccio with Truffle Mayonnaise. The price is £85 and includes a ticket to the Black Tie Beach Ball, a welcome cocktail and glass of champagne! 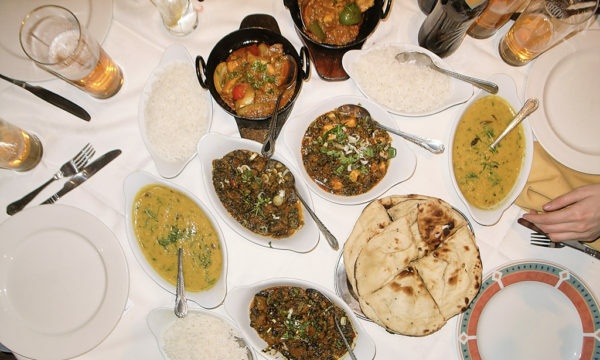 To book a table at Bunga Bunga, 37 Battersea Bridge Road, London SW11 3BA, call 020 7095 0360 or visit here. For something completely different, why not opt for an all-night dinner dance with the Disappearing Dining Club? 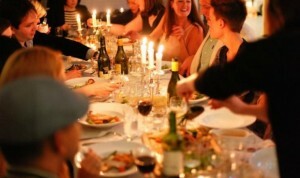 The club specialises in hosting dinner parties at different venues across London, and this New Year’s Eve they are in Grade II listed building, The Chainstore, in Trinity Buoy Wharf. Their four-course menu includes Salmon & Tuna Salad with Champagne Jelly, Papaya & Plantain Crisps, Red Ruby Beef Wellington and a Spicy Raspberry Compote. 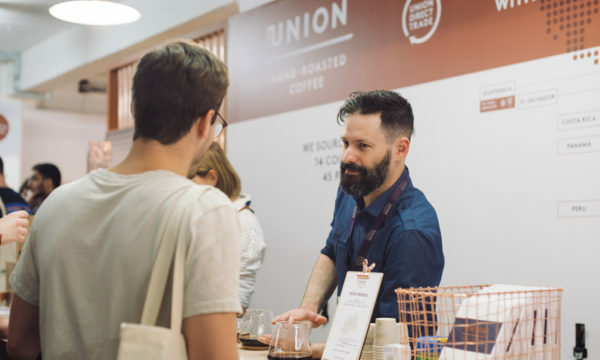 Prices range between £85 and £100, and include cocktails, canapés and music. The Club adds £1 to every ticket sold and donates it to the Teenage Cancer Trust. To book a table with the Disappearing Dining Club call 07507 754 318 or visit here.